The Oklahoma Film + Music Office (OF+MO) was proud to return to Park City for the 2019 Sundance Film Festival, celebrating our 40th anniversary as a state office with a number of events and new initiatives to help further promote our state’s film incentives, local crew, locations and infrastructure to the international audience of filmmakers and studio executives in attendance. 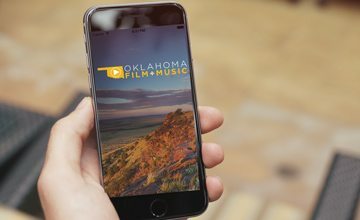 Beyond Cinema once again partnered with OF+MO to host our sixth annual Oklahoma Film and Music Office Reception, which quickly reached maximum capacity due to overwhelmingly positive guest attendance. Additionally, Entertainment Partners (EP) co-sponsored our “Small States, Big Incentives, Better Movies” Sundance Panel, which featured moderator Joe Chianese (EP) and OF+MO Director Tava Maloy Sofsky alongside panelists Fred Siegel, CPA; Molly Hallam, Producer of “The Mustang”; and Martha Stephens, Director of “To The Stars”, an Oklahoma rebate film which celebrated its world-premiere at the festival. “To The Stars” is the second consecutive Oklahoma-produced film to be an official selection of the Sundance Film Festival, following the world-premiere of “Wildlife” in 2018. Much like its predecessor, “To The Stars” was primarily shot in the City of Enid, as well as the surrounding region, utilized the Oklahoma Film Enhancement Rebate Program and created over 175 local jobs. The film stars Kara Hayward (“Moonrise Kingdom”), Liana Liberato (“The Best of Me”), two-time Emmy Award-winner Tony Hale (HBO’s “Veep”), Malin Akerman (“Watchmen”), Shea Whigham (“Take Shelter”), Jordana Spiro (“Ozark”), Lucas Zumann (“20th Century Women”), and Adelaide Clemens (“Rectify”). Learn more about the film here. OF+MO Director Tava Maloy Sofsky also appeared as a speaker on a film incentive panel presented by Latino Reel and Avenida Productions. 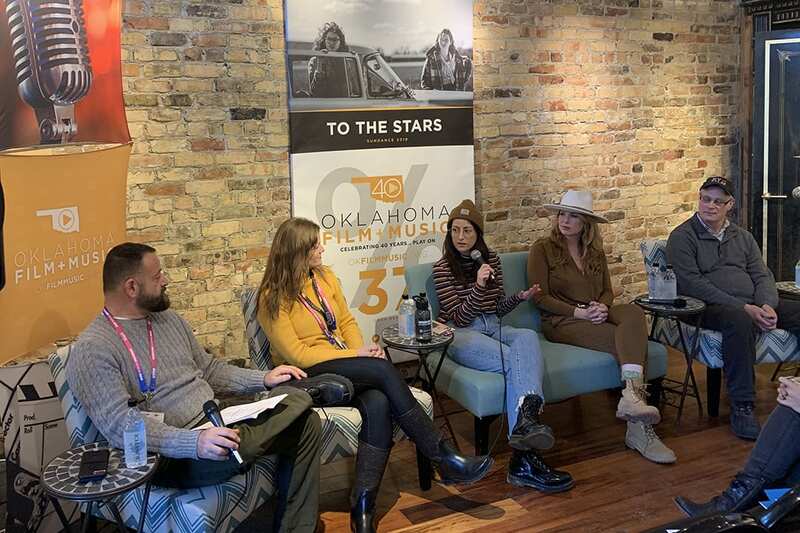 For the first-time ever, OF+MO was sponsored The Hollywood Reporter Studio at Sundance directly connecting us with the moviemakers and talent behind some of the festival’s biggest films, further extending the promotion of Oklahoma’s film and music industries. 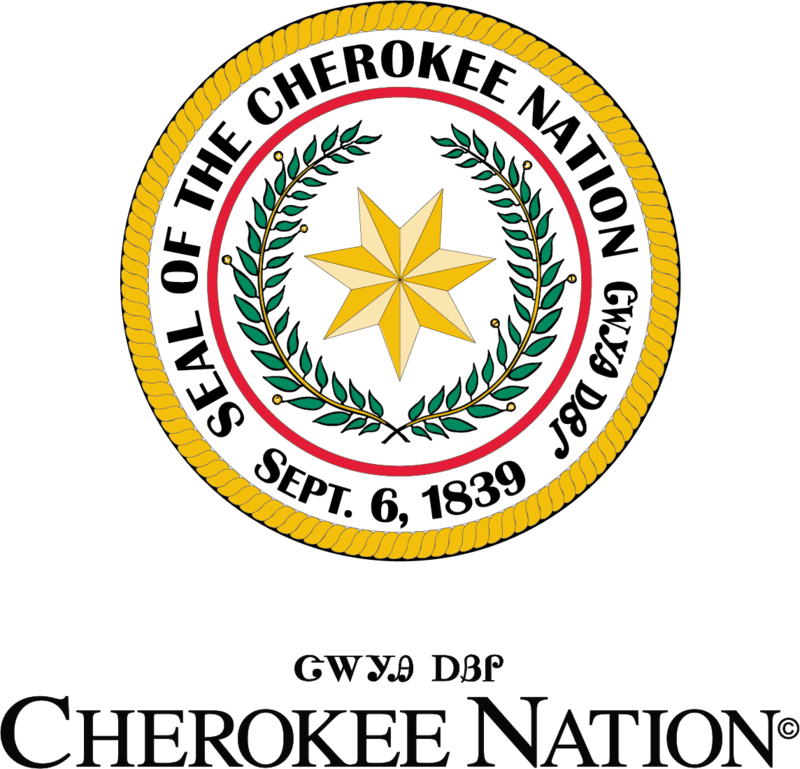 Thank you to our Studio Oklahoma partners for making our attendance at this event possible: The Cherokee Nation, Entertainment Partners, Grand Casino’s Play It Loud, VisitEnid, Castle Row Studios, Visit Bartlesville, Visit Guthrie, the Guthrie Chamber of Commerce, Beyond Cinema and our featured event musician Levi Parham. A SPECIAL THANKS TO OUR STUDIO OKLAHOMA SPONSORS!